The Montgomery County Sheriff’s Office is seeking the public’s assistance in identifying a deceased individual who remains unidentified. On August 3, 1986, at approx. 5:00 pm, several citizens were at Crater Lake off of FM 3083 in Conroe, Texas reminiscing about their “old hangout” when they observed what appeared to be a body in the water. Deputies with the Montgomery County Sheriff’s Office responded, along with the local fire department. The body was removed from the lake utilizing a boat and it was discovered that the body had been weighted down with two cement cinder blocks that were attached to the body with an electrical cord. An autopsy revealed that the unidentified male had died from multiple gunshot wounds. The body has never been identified and his described as follows: Possible street name of “New York Billy” Male / White, 20-30 years of age, 5’06 (approx. ), 133 lbs, Small Build, Collar length Brown / Reddish hair, Decaying teeth. Tattoos - Left lower arm – professional design of small devil with painted tail, Left upper arm – poor quality design of name “Liz”, Right upper arm – poor quality design of name “Baby Dawn”, Left ear lobe pierced, Clothing worn - Levis men’s denim blue jeans size 30 waist, 31 length, in good condition, brown short sleeve shirt button type, double open type pockets, and squaretail. Label inside collar had M-SS, 8-0178-25, “Wilson” written on it. Men’s white heavy athletic type socks. 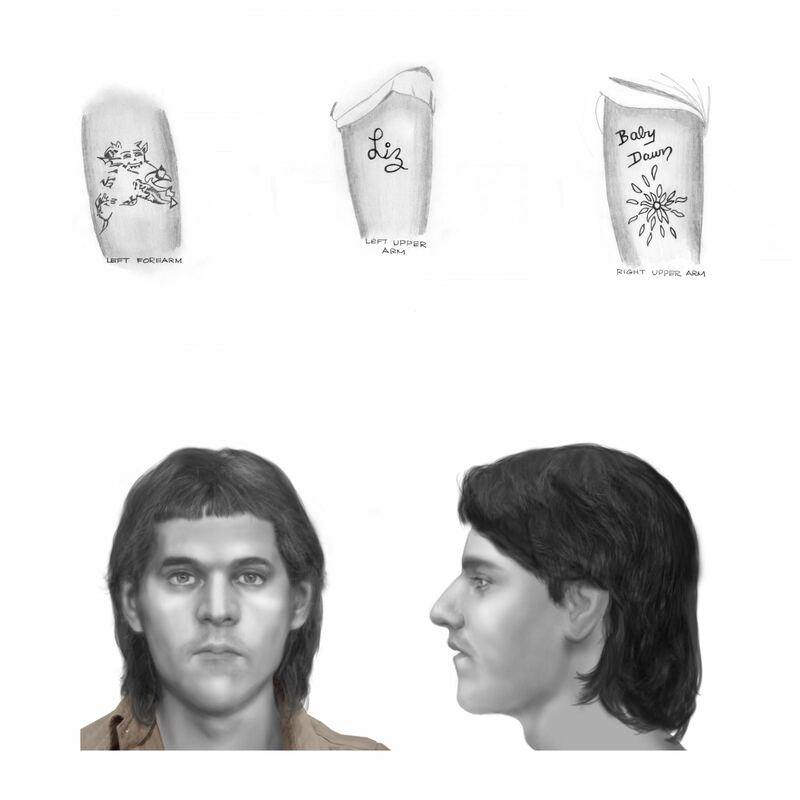 In 2015, Montgomery County Sheriff’s Office Cold Case Detectives exhumed the remains of “John Doe – Crater Lake” in order to obtain additional DNA and to attempt facial approximation. Both tasks were subsequently accomplished. If anyone recognizes any of the tattoos or information listed above please call 936-538-3765 and refer to case # 85-19394.